In the past when there were several priests in each parish, priests would regularly go and visit the homes of families in their community. Getting to know people is such an important part of the work of a priest. These visits also serve to let people get to know their priest. Sometimes, people will take this opportunity to ask him some tough questions that they may struggle with regarding matters of faith or the Church’s moral teaching. The family home provides a very comfortable environment for such a discussion and allows parishioners to build a relationship with their pastor. Often these house visits will come about because the family seeks to have their home blessed or recently had their child baptized. Some people ask to get their house blessed by a priest or deacon once they move into their new home, apartment, or condo. Others invite him over every year to give a combined family and house blessing. In this case, the family gives thanks for the past year and also asks for God’s protection and presence in their lives for the year to come. 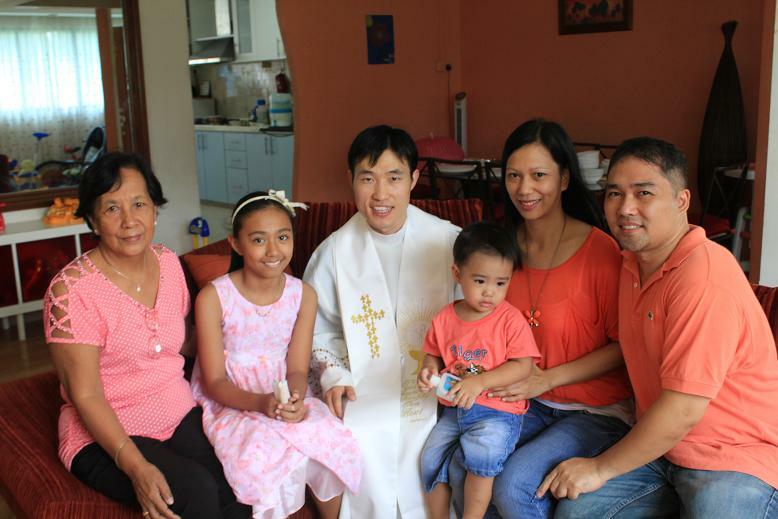 Why not invite your parish priest or deacon over to bless your home and visit your f amily today?